Today I will be reviewing the OCZ Radeon R7 – 240GB SSD. SSD’s sure have come along way in a short period of time. The price has become more justifiable and the longevity has been greatly increased. The lifespan of the SSD’s now day should surely last as long as needed until the next new invention of storage devices are introduced. The ability to handle all the read writes was a serious concern early in the process but now the rated hours and tools telling you when the health of the SSD is getting bad will prevent any data loss from happening. As of right now SSD’s are the big thing in storage and they out perform the latter by a incredible spread. Well I am ready to test the OCZ Radeon R7, so lets get to it. San Jose, California-based OCZ Storage Solutions – A Toshiba Group Company, is a global leader in the design and manufacturing of industry-leading solid state drives (SSDs), a disruptive, game-changing technology that is replacing traditional rotating magnetic hard disk drives (HDDs). 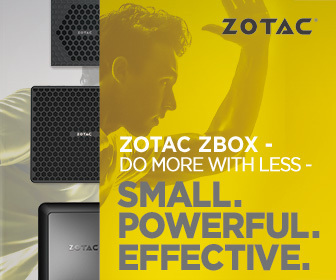 OCZ develops best-in-class solid state drive solutions for professionals, enthusiasts, and gamers, and is committed to driving storage innovation. With a rich portfolio of consumer SSD offerings for laptop, desktop, and workstation applications covering a range of popular interfaces and media formats, our SSDs utilize proprietary in-house controllers and firmware to deliver exceptional I/O performance, differentiated features, lower power consumption and superior reliability, all of which translate into faster file transfers, instant system boot-ups, and an enhanced computing or gaming experience.